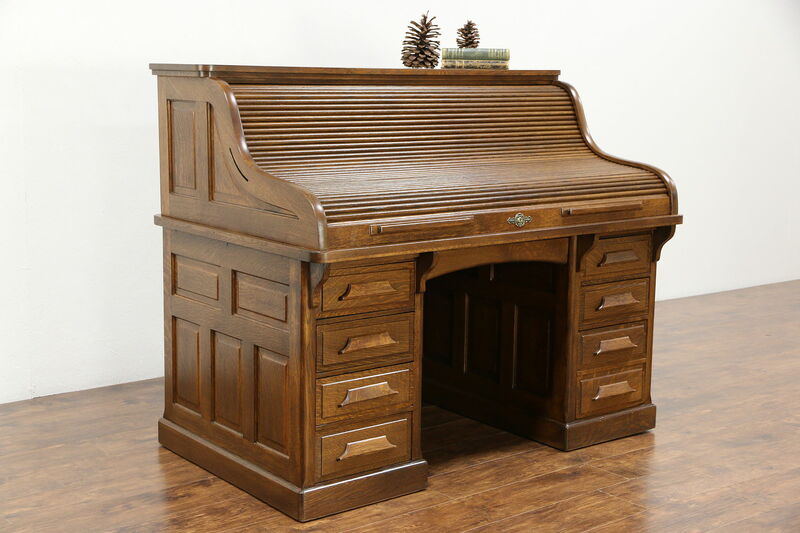 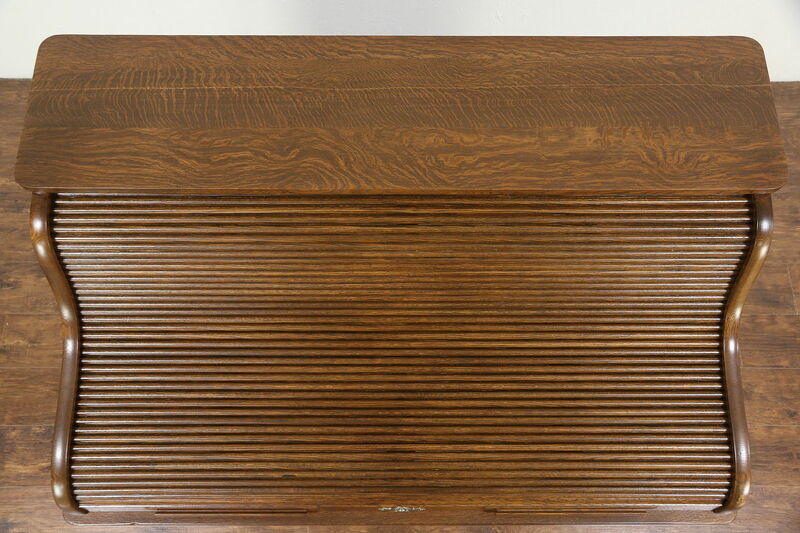 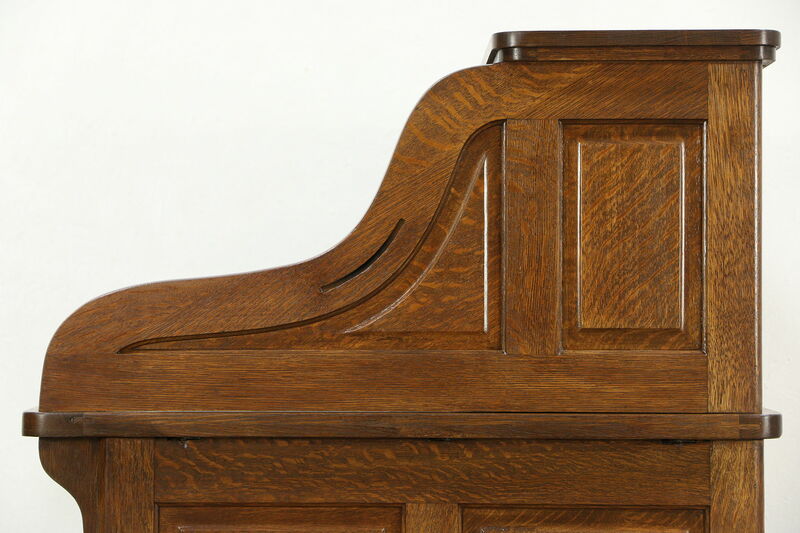 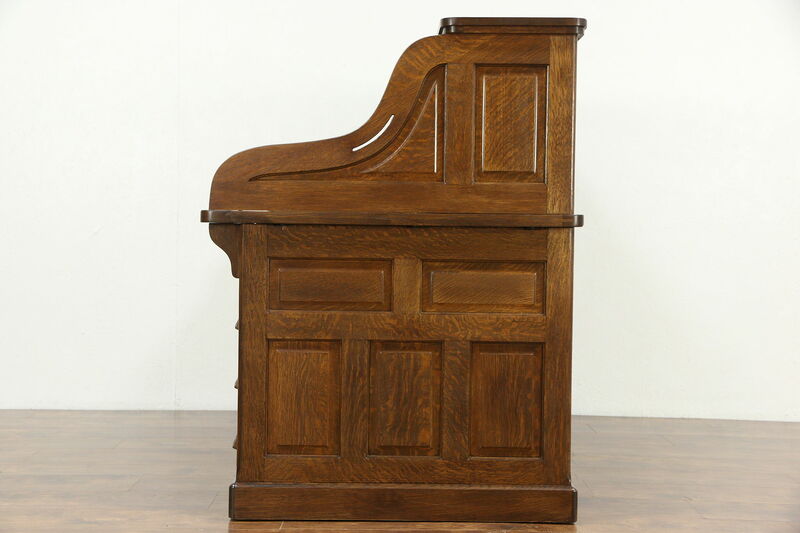 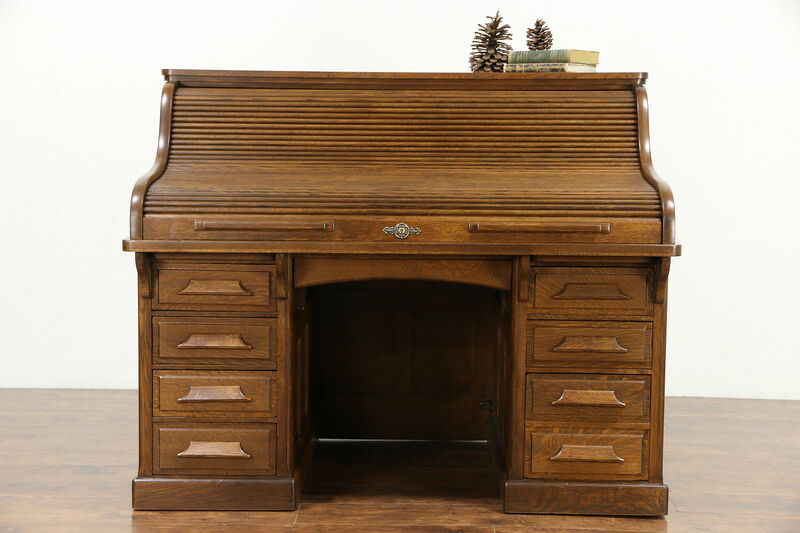 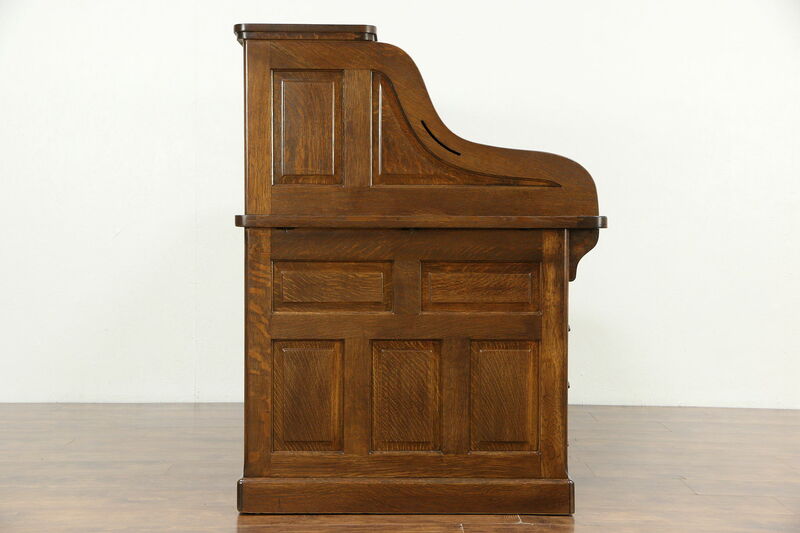 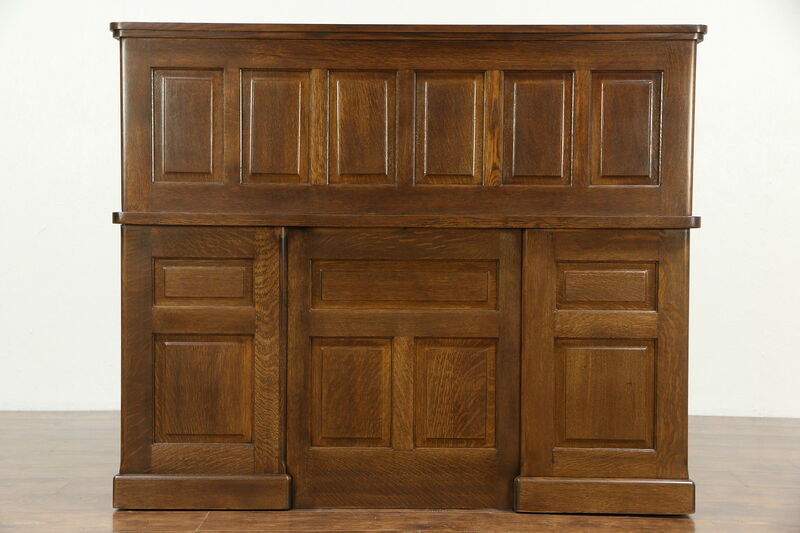 Signed by famous maker, "Gunn Desk of Grand Rapids, MI," this superior quality roll "S" shaped top desk from about 1900 is solid quarter sawn oak. 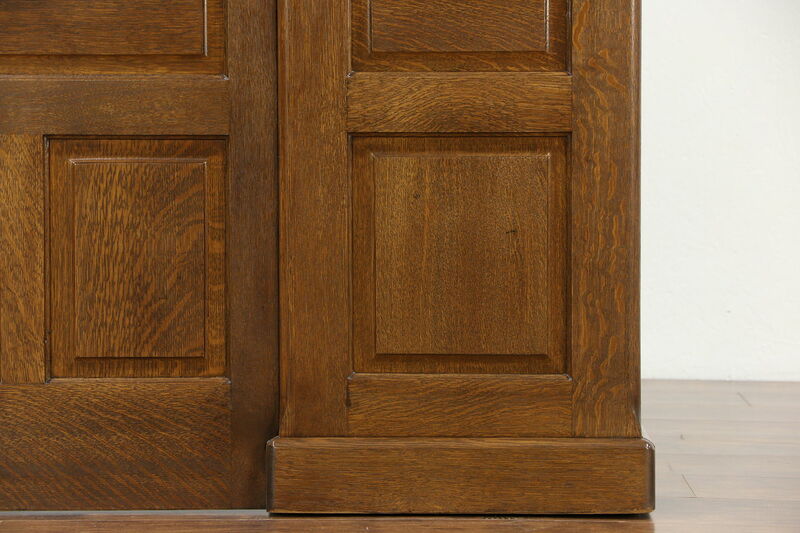 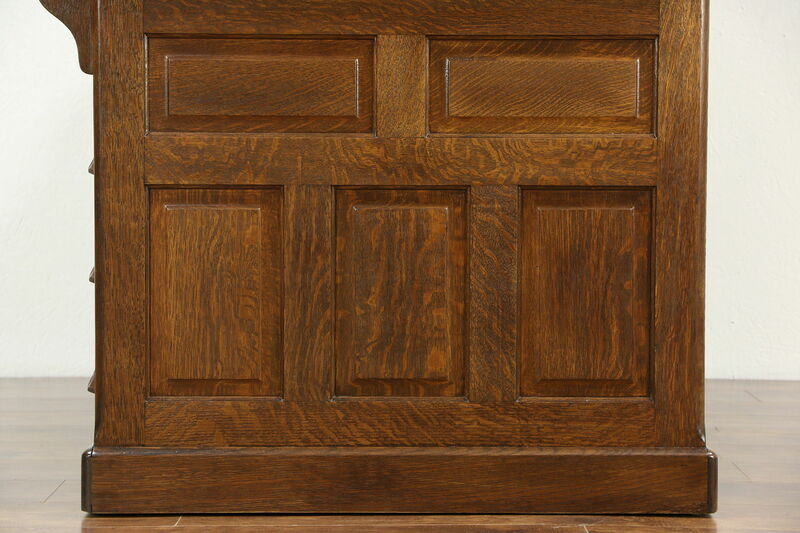 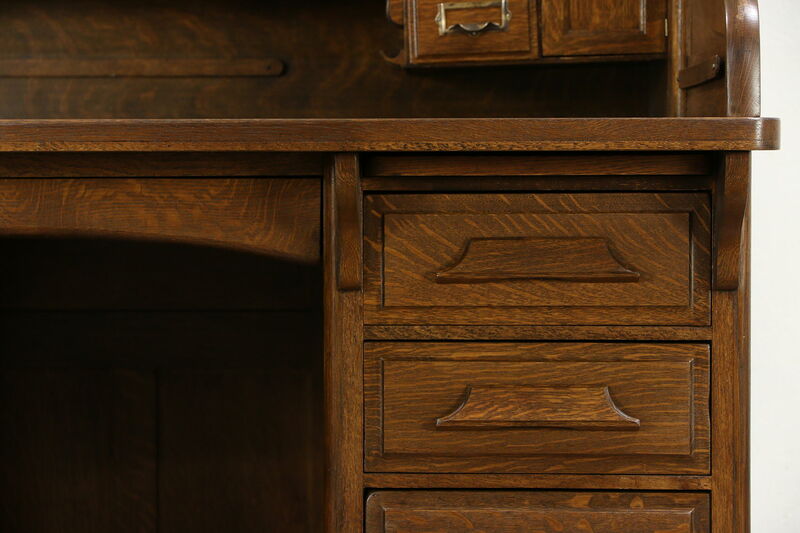 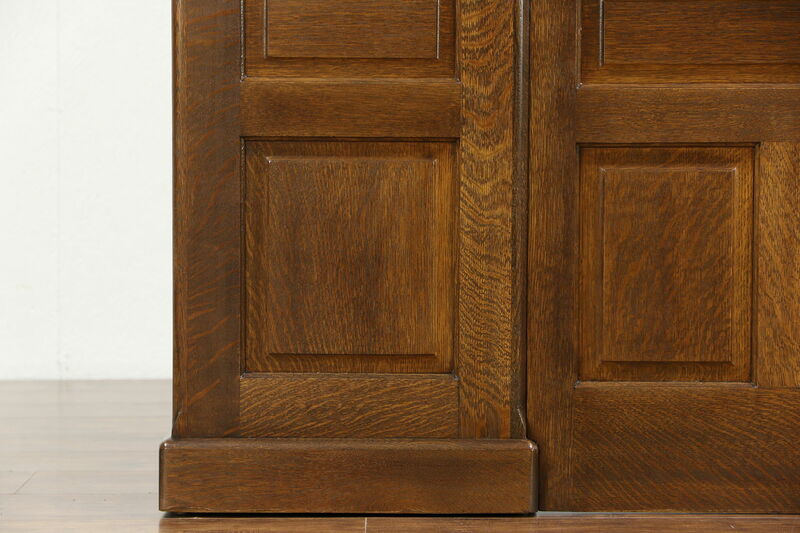 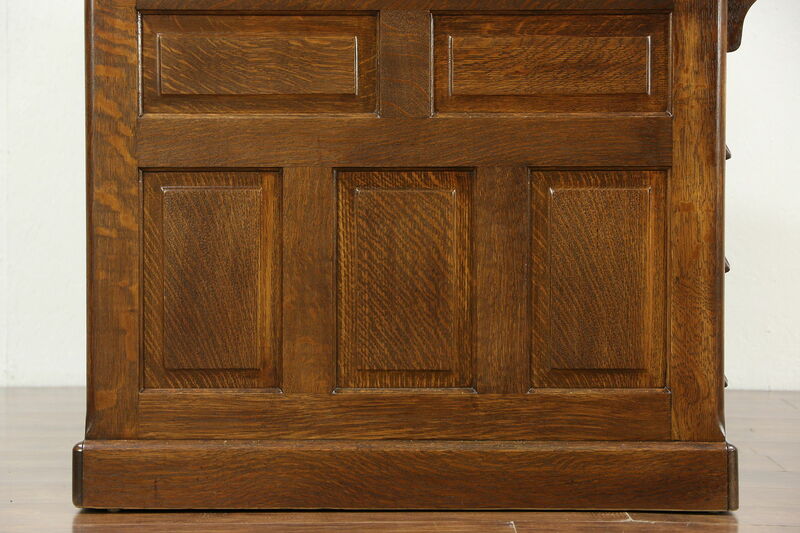 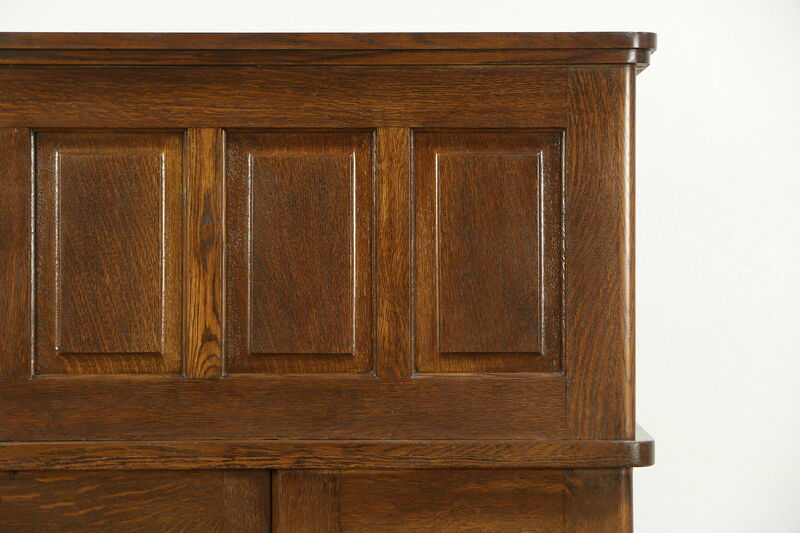 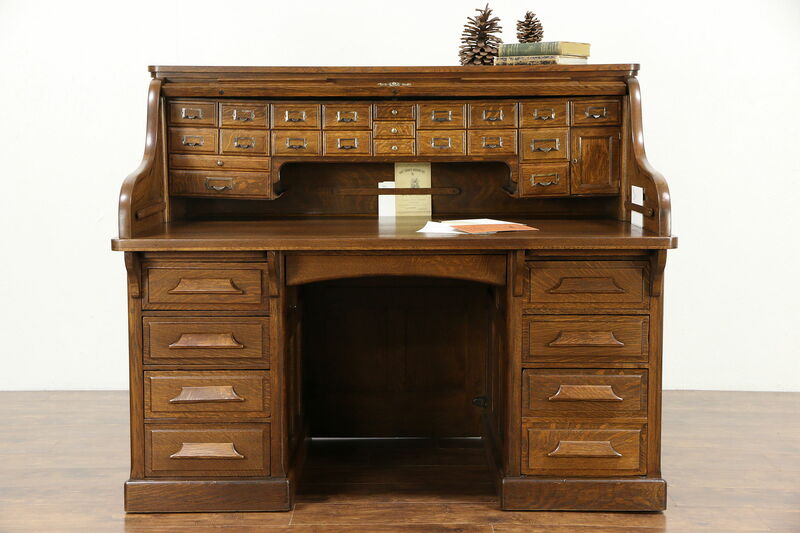 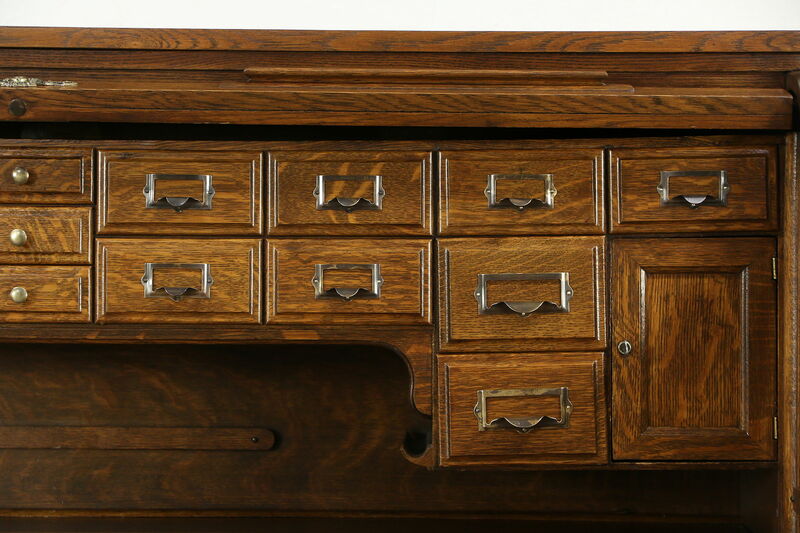 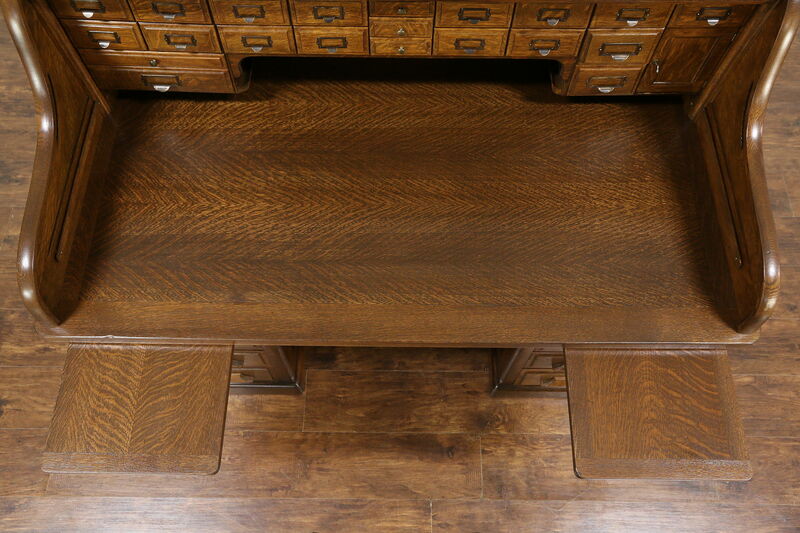 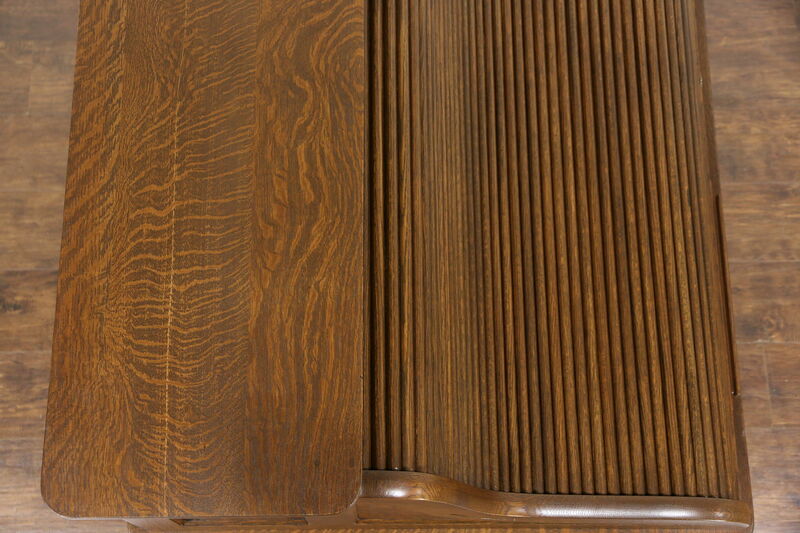 The deep rich restored finish is in excellent condition on this American made antique office or library furniture. 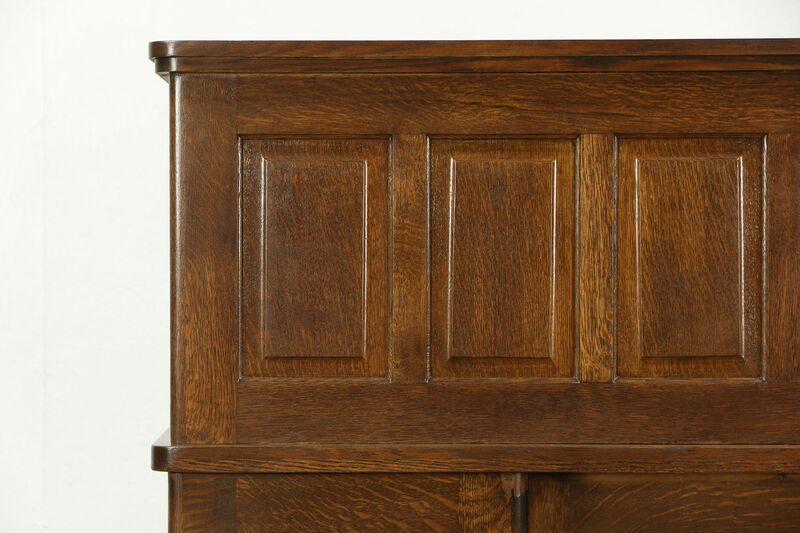 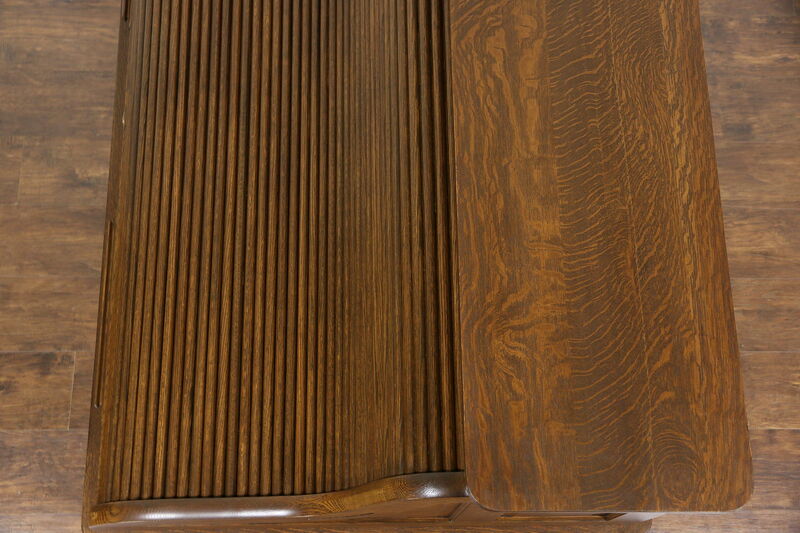 Raised panels are distinguished. 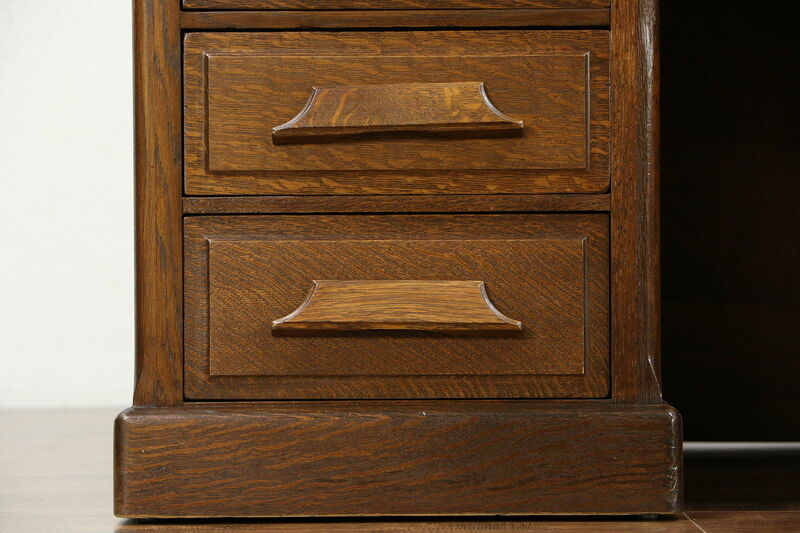 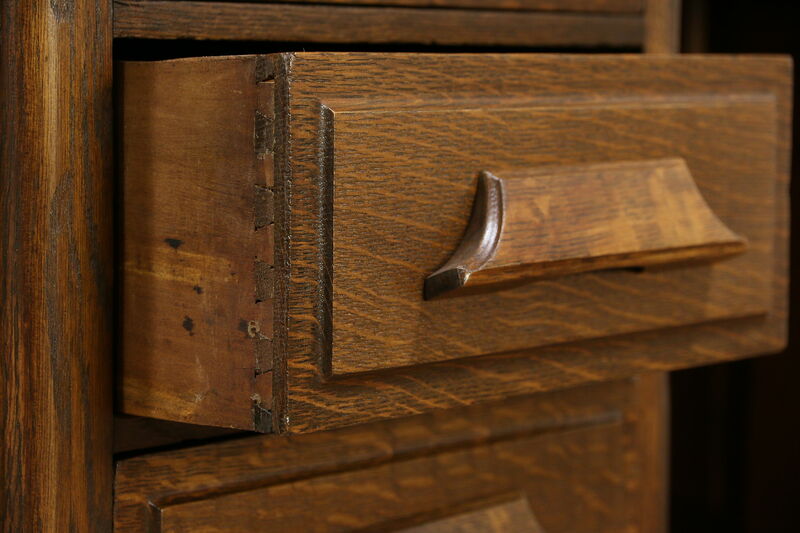 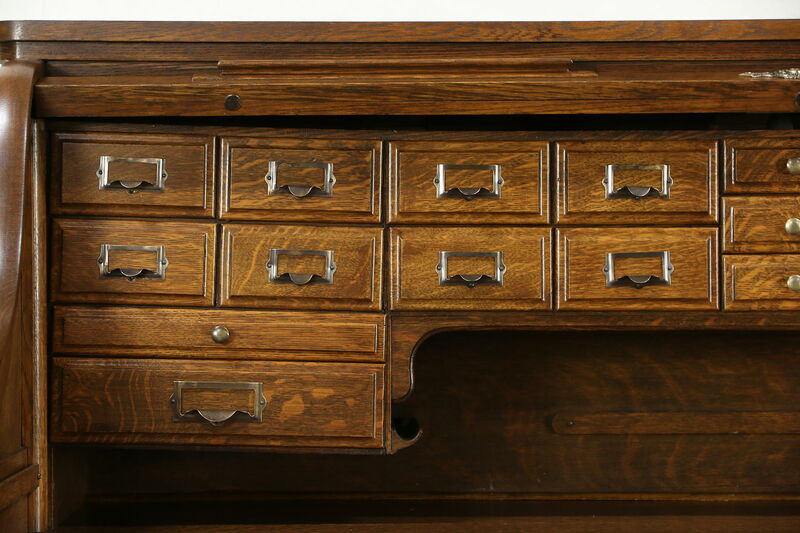 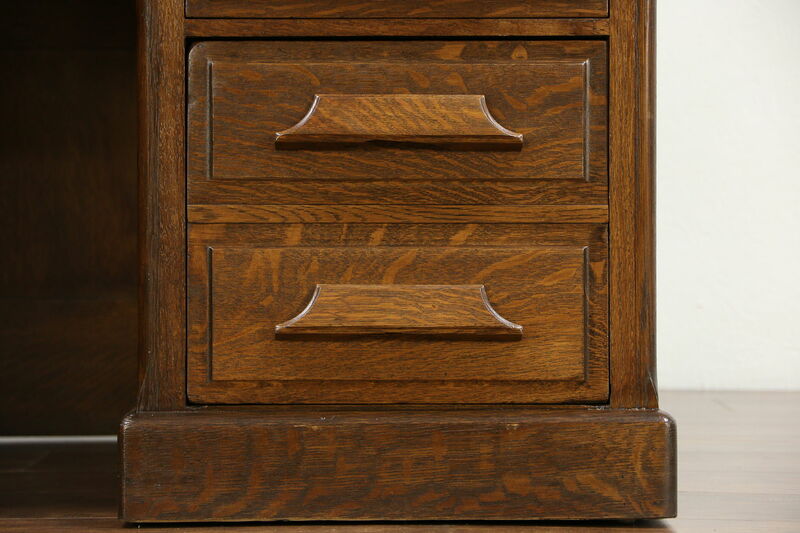 Deep drawers have dovetailed joints and original carved pulls, there is a file drawer as well. 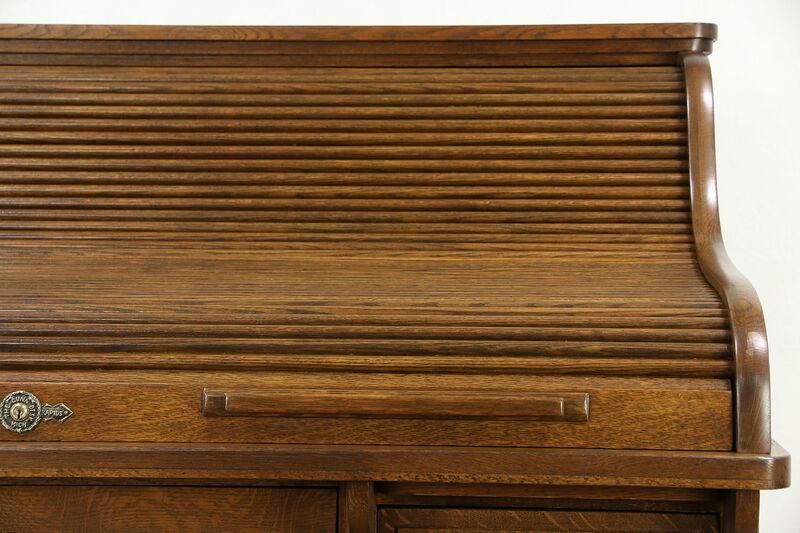 Inside the smooth gliding roll top are pen and note holders plus drawers and cubicles of various sizes. 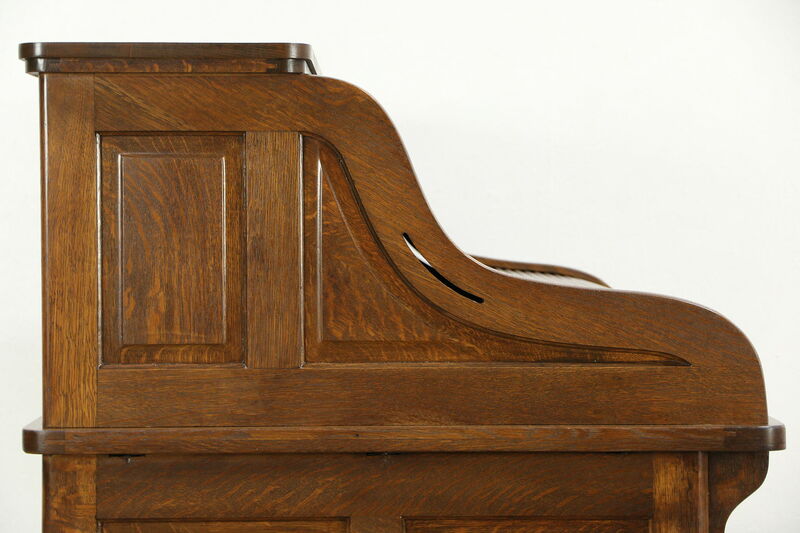 The frame is slightly sagged from age, and there are minor shrinkage separations as shown. 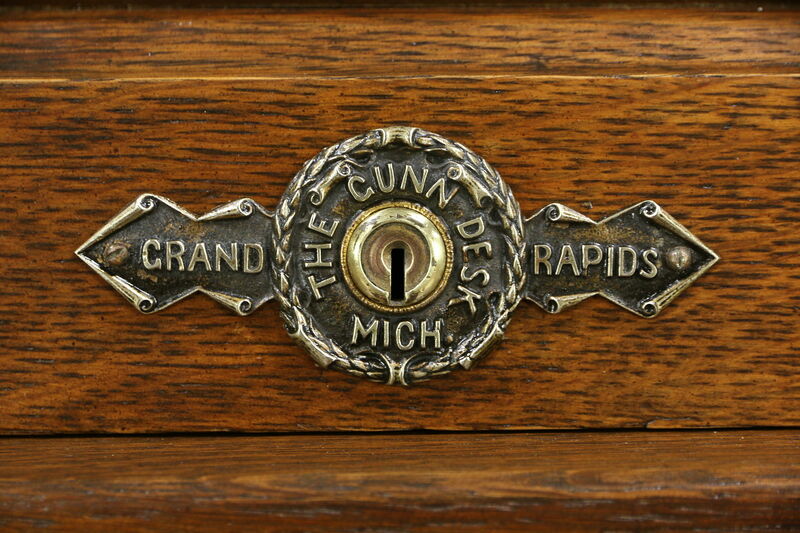 A compartment has a key for a handle only, the lock does not work. 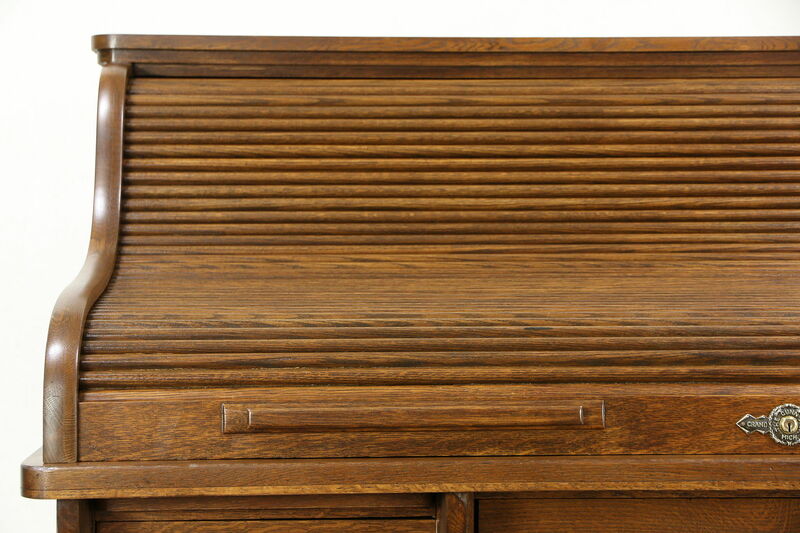 There is no key for the roll top. 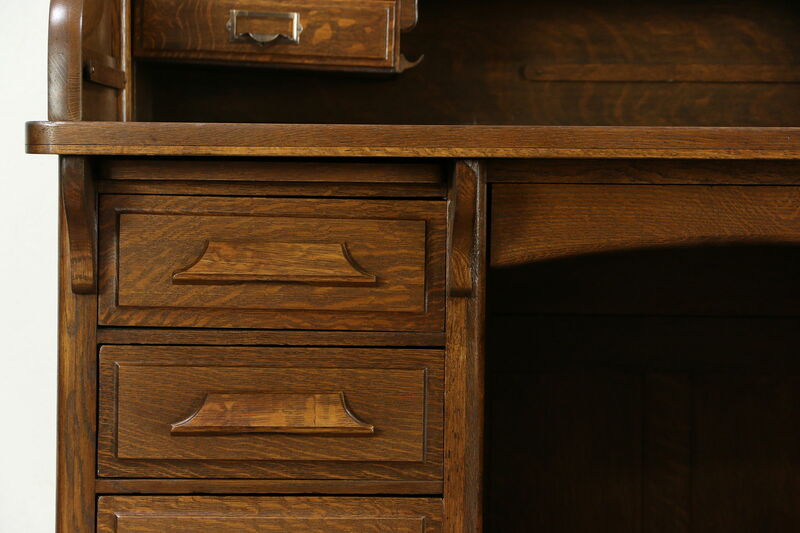 Two pull out shelves offer extra workspace. 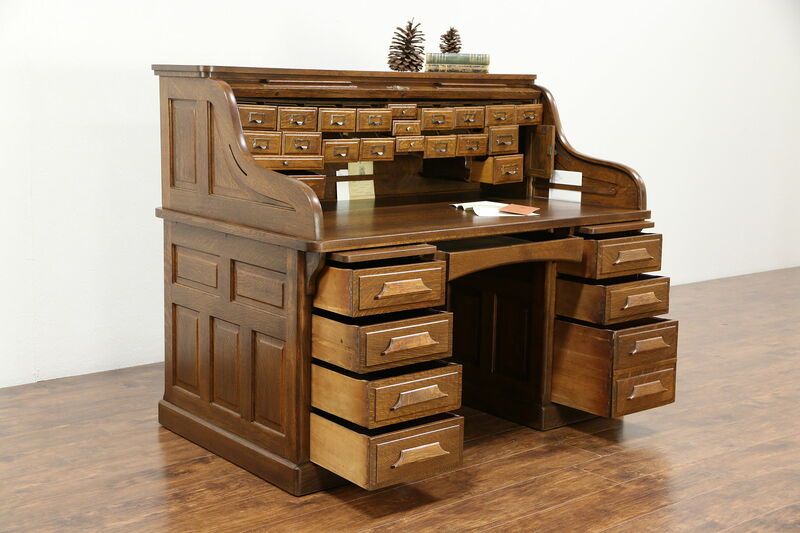 This antique library or office furniture disassembles for delivery. 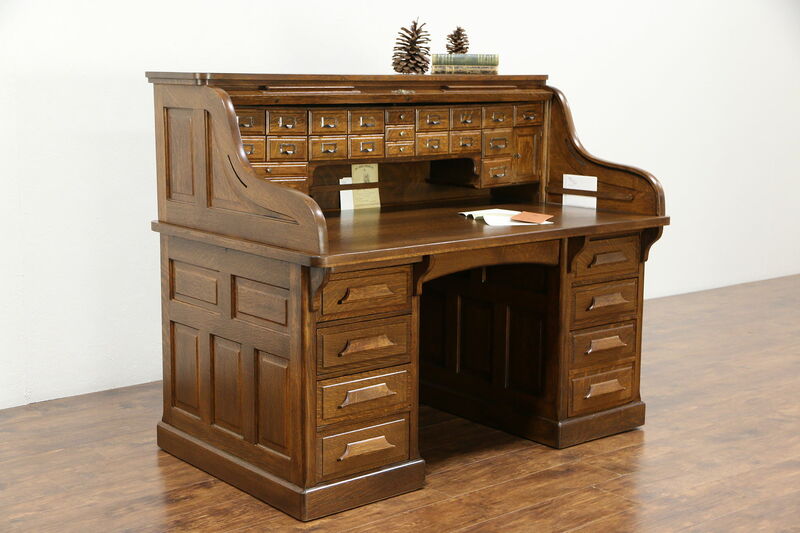 Dimensions are 60" wide, 38" deep, 49 1/2" tall, the desktop is 30 1/2" high and the kneehole is 23" wide and 25" high.